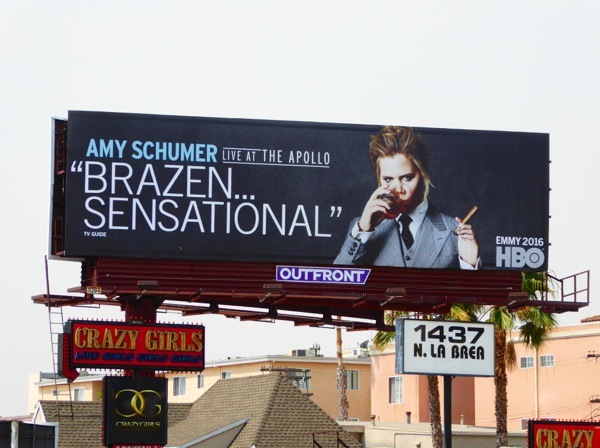 Daily Billboard is going to start sounding like a stuck record, but what a year Amy Schumer is having. 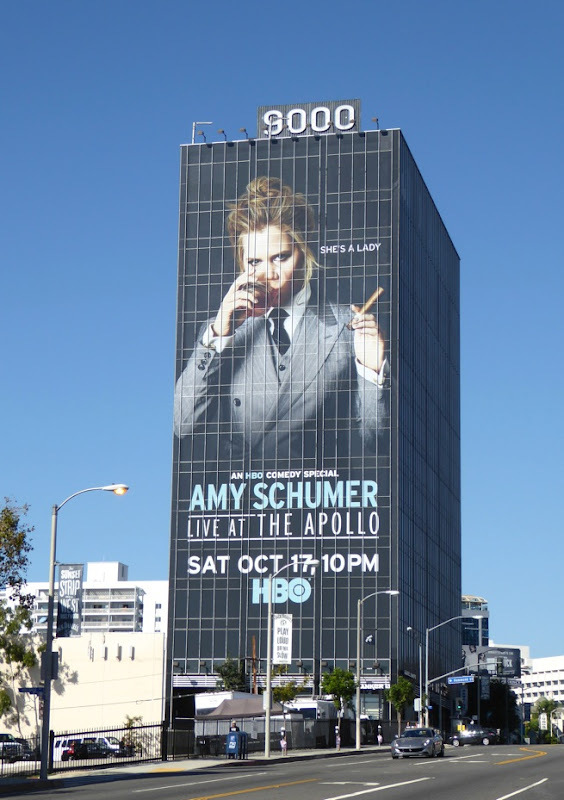 Not only did her Inside Amy Schumer sketch show on Comedy Central (now in its third season) just win two Emmys, but she's also hosted the MTV Movie Awards this year, had a box office smash with her debut headlining movie, Trainwreck (which she also wrote) and landed a multi-million dollar deal for her memoir with Simon & Schuster. 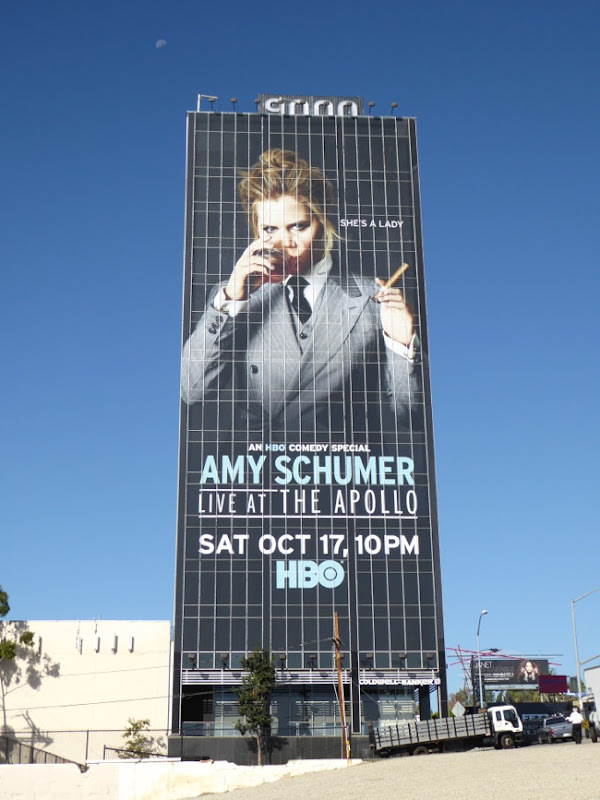 Now she's back in the skies of L.A. in a big way for her HBO comedy standup special, Live at the Apollo. 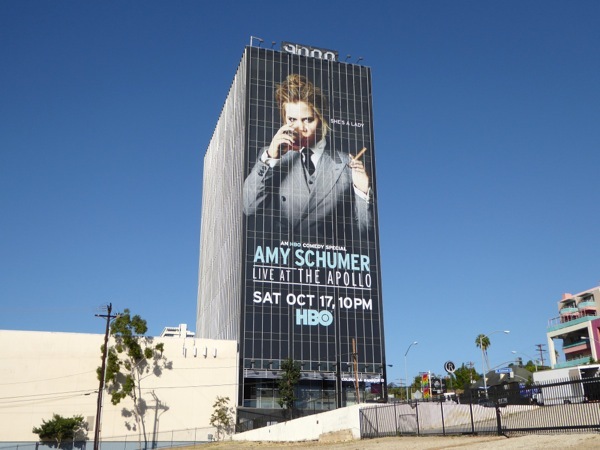 The giant-sized ballsy billboard for her comedy special was snapped towering over the westbound Sunset Strip in West Hollywood on October 3, whilst the standard landscape billboards were spotted along Pico Boulevard and Melrose Avenue on October 11, 2015. 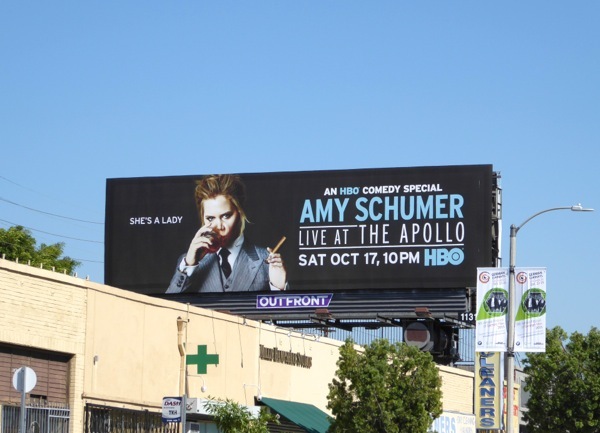 If you're a fan of the unapologetic funny lady, be sure to also check out these Trainwreck movie billboards which dominated L.A.'s skyline early this Summer, plus all three season promo billboards for Inside Amy Schumer. 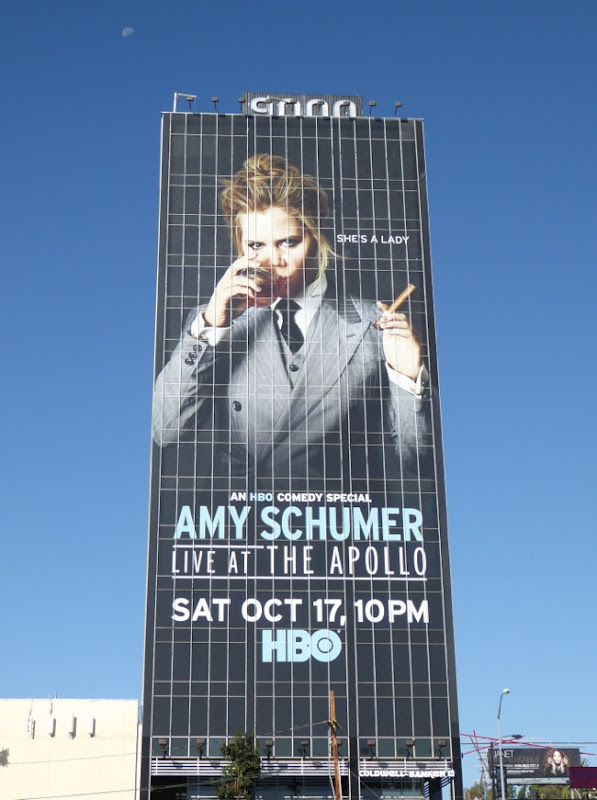 There's no wonder she looks powerful, large and in charge in these new outdoor ads. Let's just hope fame and fortune doesn't go to her head and she can keep us all laughing with her authentic and original point of view. 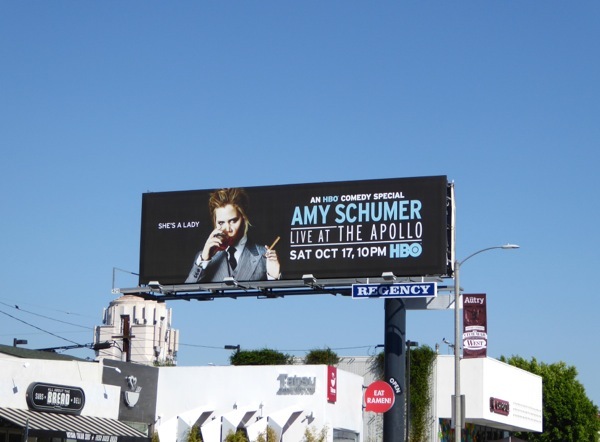 UPDATED: Here's also the Emmy consideration billboard for Amy's HBO comedy special spied along La Brea Avenue on June 17, 2016. UPDATED: Fans of the comedian can also check out these outdoor ads for her latest Netflix comedy stand-up special on stage in Denver. These billboards for her Leather Special were spied along Melrose Avenue on March 8 and above West Hollywood's Sunset Strip on March 23, 2017.